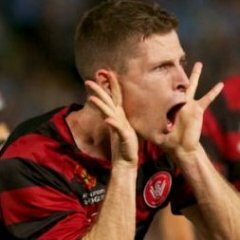 Description: A central midfielder with previous experience at 3 A-League clubs as well as earning 20 youth caps for Australia, earned a rotating position in the Wanderers first team squad, often occupying the left wing or midfield or filling in defensive midfield positions off the bench. After his initial contract expired he was released by the club. I have been asking you to join us for well over 2 seasons now. Glad to see you have joined the Red and Black family. Seriously dude , another relo??? Guy scored some crackers last last season, was on the bench majority of last season. From representing Canberra FC to facing them as part of the "biggest club in Australia", Steven Lustica has played all around the world but will compete against his boyhood club on Wednesday night. Representing A-League powerhouse Western Sydney Wanderers, Lustica's career will turn full circle when he lines up against Canberra FC in a pre-season match at Deakin Stadium. Born and bred in Canberra, Lustica has also represented Gold Coast, Adelaide and Brisbane as well as Hajduk Split and Dugopolje in Croatia. 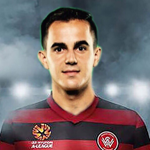 Having debuted for the Wanderers after leaving Brisbane in early August, Lustica is still preparing for his first A-League season in red and black. The 25-year-old began playing for Canberra FC when he was six but two decades later, is looking forward to the experience of playing his old club. "It's a special feeling for me to be able to come back to Canberra FC where I started when I was six years old," Lustica said. "Fast forward 20 years later and I get to play against my junior club which is great. I'm definitely looking forward to it." Canberra FC still means a lot to Lustica, who still monitors the team's progress. "I follow the club a bit," he said. "My cousin's the coach actually so I know them quite well. "I haven't watched a game for a while but I know a few of the boys there both past and present." 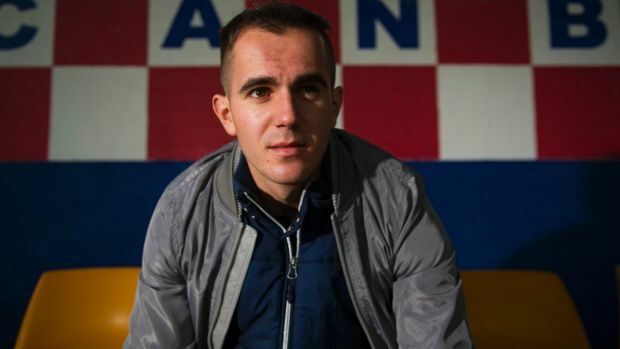 Lustica is now at his sixth club in seven years. He believes Western Sydney is Australia's benchmark and made the decision to move after a conversation with Wanderers coach Tony Popovic. "After speaking with Tony I thought it was the right time to make the move and it's the right environment for me to be at in this stage of my career," Lustica said. "I'm looking forward to working under Popovic, and to learn as much as I can from him and improve my game." "It's a massive club; it's definitely the biggest club in Australia. "There are high expectations at this club and I'm looking to improve my game and take it to a new level and I think I'm at the right club to be able to do that. "I've got the right environment, the right coaches and coaching set up." 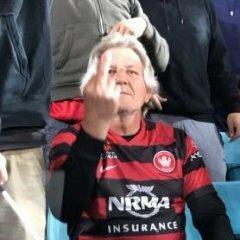 The Wanderers fan base is known to be one of the most passionate in the country and they'll pack out their new homes at ANZ Stadium and Spotless Stadium. "They're the best fans in Australia by far," he said. "I always loved playing against the Wanderers, the atmosphere was great, it's like you're in Europe. "It's definitely exciting to play for them and I'm looking forward to it." Gates open: 5.30pm Tickets can be purchased at the gate. I think he will kill it this season. Always worried when he was subbed on. Imagine if his cousin, Ugarkovic , was poached from Newcastle next year! is he related to Ante? Posted on his IG story that he's wearing a moon boot... Must be injured. He's still not a winger. He did, but it's still a place in our squad that could have been filled a lot better. He doesn't really give us anything that a bunch of other players we already have don't. Playing his first game after injury in the NYL game against the Mariners this morning. Good, we could use him. Scored the only goal in the first half.